How Can I Effectively Use Color To Attract Website Viewers? Color can make almost anything beautiful. In terms of a website, it can also serve as a critical design element that helps get your message across. One important thing to understand about color is how imperative it is that website design services choose the right colors for a client’s web design. An expert web design company knows the right colors can make your site more effective while the wrong ones can prevent its optimal performance. 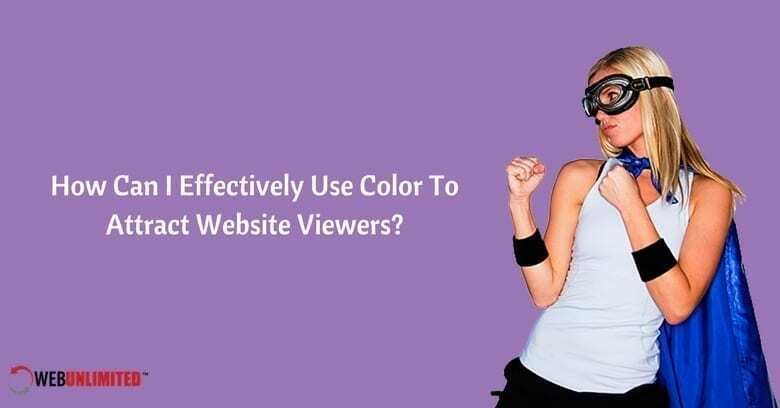 To attract and keep viewers, you need to think about the following color concepts offered by affordable web design services so your site can do everything you need. Warm Colors – Warm colors are reds, oranges, and yellows. They usually create feelings of importance and promote activity. Yellow is active and youthful, while red is urgent and powerful. Orange is another aggressive color that web design services know has proven to be most effective at generating conversions. Cool Colors – Cool colors are blues, greens, and purples. They tend to produce feelings of calmness and relaxation. Blue is known to promote trustworthiness, while green is soothing and easier to read. Purple is calming and often associated with opulence and high quality. Pink is a tranquil color and relates to femininity and sexuality. Black – Black is powerful and sophisticated and when used effectively by affordable web design services, promotes the impression of professionalism and refinement. Monotone – A monotone color scheme uses white or black and white as well as various shades of one other color. When used properly, affordable web design services can produce simple, yet striking designs with a monotone palette and attractive typography and other design elements. Monotone schemes are great for web apps and sites that need a simple way to portray importance and denote function. Duotone – Duotone color palettes include two colors. These are usually colors that compliment each other or two different and contrasting shades of the same color. Duotones provide the contrast necessary to improve readability, especially on mobile devices. This color scheme is also useful for creating certain moods and emotions when used in the right combination. 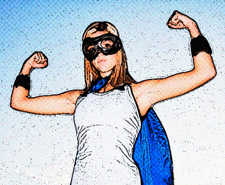 Overlays – Overlays are another trendy way for a web design company to use color. Lighter tints of color washed over the entire design look modern and professional. Color overlays are also useful as hover effects to indicate elements like CTAs and other interactive parts of the site. Gradients – Gradients are great for creating a high-contrast flat design that looks minimalist and modern. When used with multiple colors, gradients also indicate depth and can aid comprehension by guiding the eye. Color is an essential design component used by all website design services to make websites more usable and easier to comprehend. Because color is so important in communicating with your viewers, it should be carefully chosen with the help of an experienced web design company, then used in effective ways. When you work with affordable web design services to create emotion and importance to guide users through your site with color, you can expect the website to serve your business well! Web Unlimited Does Affordable Web Design Services!